I have many bookish friends who feel my pain, and share theirs as well. 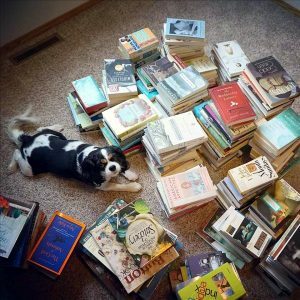 “So many books, so little time” is often the reply we give each other when passing on a new recommendation. 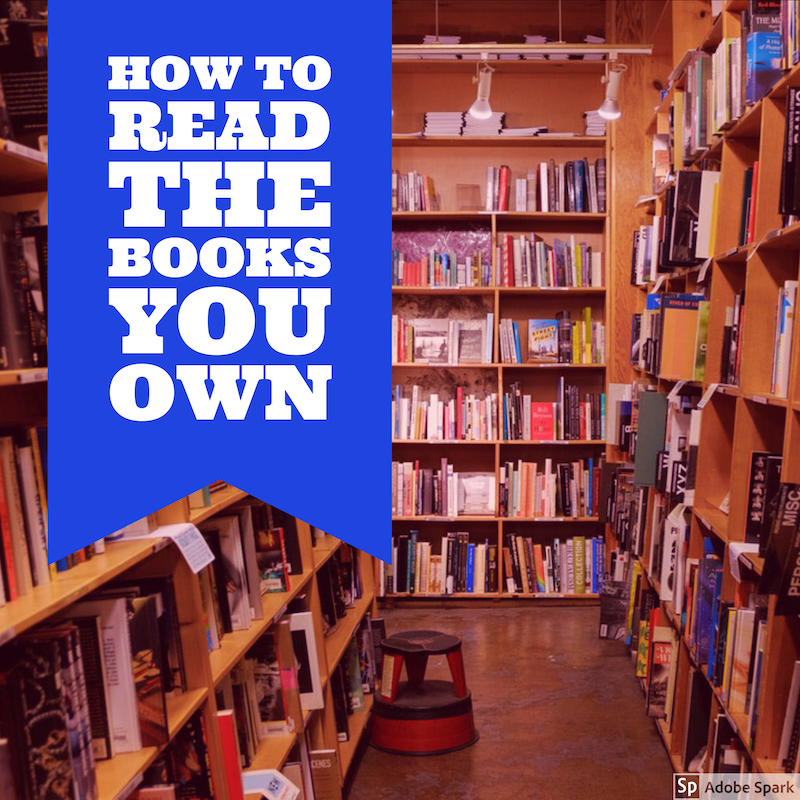 When I saw my friend, and fellow bookworm, Holly post about her own reading challenge she was calling Only Own October, I was intrigued and had to know more. She was kind enough to collaborate with me on a post about her idea! Tell us a little about yourself in regard to your reading life. I’ve loved books and reading for as long as I can remember. I grew up with wonderful parents who not only read to me but encouraged my bookish ways; there were many trips to the library and I know I got to buy at least one book from every book order that came my way in school. I’ve always made time to read “for fun” because it’s such an important part of who I am and several years ago I was fortunate enough to be able to turn one of the bedrooms in my house into a home library; it’s my own little paradise, especially when my pup curls up with me while I read. I prefer fiction but have recently discovered I enjoy throwing a non-fiction in the mix every once in a while; I struggle to get into audio books but plan to continue trying them in hopes that I will learn to enjoy them. I love discussing, recommending, and lending books and it warms my heart when someone recommends or lends me a book they think I’ll like. 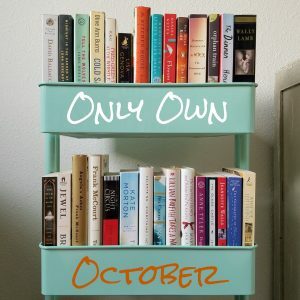 How and when did you come up with the idea for Only Own October (OOO)? Despite the fact that I have over 200 unread books on my shelves, I found myself continually checking out and requesting books from the library. Books being raved about and covers or titles that caught my attention on Instagram were books I felt I needed to read immediately. Yet while reading these books, I often noticed myself scanning my shelves and thinking numerous times “Why haven’t I read that book yet? 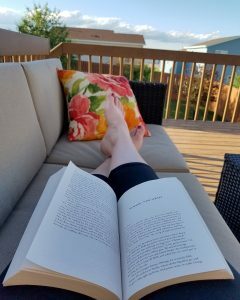 I really want to read that one!” In August, my library requests dwindled to a reasonable number and I decided to stop hitting that pesky request button in order to get them all read by the end of September. I felt I could start October with a “clean slate” so I came up with a little challenge for myself: Only Own October. (I LOVE alliteration!) To encourage myself to give my own books some love and attention, I was only going to allow myself to read books that I already owned at the start of October. Tell us about that adorable book cart in your Instagram post about OOO! I follow quite a few book accounts on Instagram and photos started popping up with these fabulous carts displaying books. I knew right away I had to get one. I loved the idea of making my home library a little more like the “real” libraries with a cart full of books. Did you stick to your line-up? How’d OOO go for you? OOO went really well. I haven’t requested or checked out a book from the library and honestly haven’t had the desire to do so (which has come as quite a surprise!). It’s been exciting to look at my cart and anticipate what my next read might be and it’s satisfying to see the progress as the collection shrinks. I just wish I could read faster to make a bigger dent! I think I will probably continue to read my own books for a while after the challenge is over and I’m planning on giving myself some kind of challenge in the new year to encourage me to read more of my own books. I’m not sure what it is about challenges but they really motivate me! Did you receive much response to your post about OOO? Did other people do it with you? I received a great response to my post about OOO. 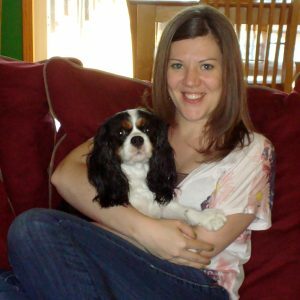 I had people tell me which books they had read and enjoyed, which books they also owned but hadn’t yet read, and suggestions about what books I should read first. Several people mentioned they also requested too many library books and needed to do a challenge like this themselves. As far as I know no one but me is actually participating in the challenge but I think if I had given people more notice and promoted it a bit more, I would have had some participants. 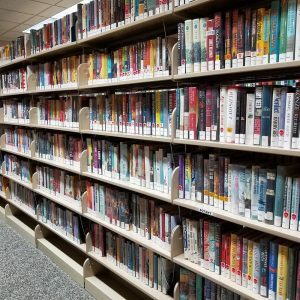 What ratio do you usually read of your owned book to library loans? Because I’m a number nerd, I went back and actually did some math! It appears about a quarter of the books I read during the year are books I own. This year I may break that trend! How many books to you read per month/year on average? The last several years I’ve averaged about 35 books a year. This year my numbers are up a bit and I’m hoping to hit a nice 52 to average one per week. What are you reading right now? 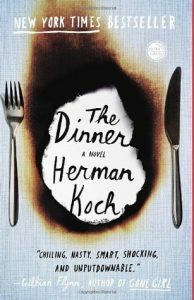 The Dinner by Herman Koch. One of those books that had been sitting on my shelf for a couple of years and I kept meaning to get to! Tell us your favorite authors and books! I adore Fannie Flagg’s novels for their cute characters and feel-good stories. I’ve always enjoyed Jodi Picoult’s novels for the subject matter and often unexpected endings. 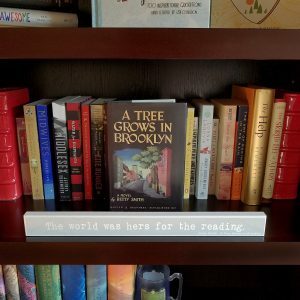 My all-time favorite book is A Tree Grows in Brooklyn by Betty Smith and I love the Harry Potter series. I must note that when I first saw Holly’s Instagram post in the last days of September, I commented that I would love to join her challenge. Then I promptly forgot about it and failed miserably. I guess there’s always next October!